Officials at the Office of the Inspector General told the I-Team their investigation found seven instances in which former D.C. Public Schools Chancellor Kaya Henderson "improperly used her discretion" as schools chancellor. Scott MacFarlane reports. Former D.C. Public Schools Chancellor Kaya Henderson violated District rules and gave special treatment to other government officials in 2015 while leading the school district, say internal investigators for Washington, D.C.
Henderson "failed to act impartially and gave preferential treatment to certain District government officials and members of the public," according to a memo produced by the D.C. Office of the Inspector General, which the News4 I-Team obtained Friday. According to the memo, Henderson showed preferences by approving school transfers to students outside of school district boundaries. The memo said her actions violated requirements of D.C.'s school lottery program, which is a competitive system in which parents vie to place their children in certain, often more desirable, public schools in the District. Officials at the Office of the Inspector General told the I-Team their investigation found seven instances in which Henderson "improperly used her discretion" as schools chancellor. The memo, which was issued to the D.C. Council in mid-April, said the investigation revealed Henderson's misconduct occurred between April 2015 and August 2015. According to the memo, D.C.'s deputy mayor for education advised the chancellor's office in April 2016 about the importance of not showing favoritism under D.C. statutes. 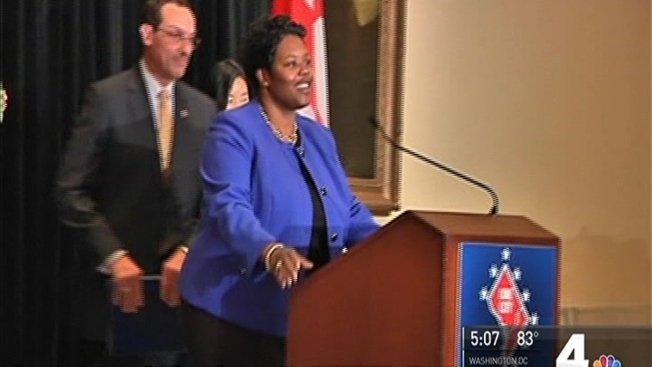 Henderson announced her resignation as D.C. schools chancellor in June 2016. Her resignation was not related to the investigation, a spokeswoman for D.C. Public Schools told the I-Team in a written statement. "As the IG report notes, in my capacity as Chancellor, I made a very limited number of discretionary placements for students when extraordinary circumstances applied. I stand by those actions. The IG does not provide evidence that placements were made improperly, only that they were discretionary. If leaders in DC do not believe that there are situations when the chancellor should exercise discretion in determining student placements, they should eliminate that provision of the statute. If leaders believe that, on rare occasions, there are unusual circumstances that require the judgement of the district leader, they should accept that discretionary placements will depend on judgement. "I am deeply disappointed by these continual attacks on my integrity in an attempt to besmirch my personal and professional reputation." Officials at the Office of the Inspector General said they did not refer their findings to federal prosecutors in the U.S. Attorney's Office for prosecution. The violations alleged in their memo were "administrative, not criminal" in nature. The officials said "information from a source" triggered their investigation. They declined to say which government officials allegedly received preferential treatment. In a statement, Inspector General Daniel Lucas told the I-Team, "This outcome speaks to the thorough work of my Investigations Unit. The OIG's job is to be fair and impartial fact-finders to help the District guard against fraud, waste, abuse and mismanagement - in this instance, to ensure children have the same access to education no matter what the parents' roles and responsibilities. The purpose of the My School DC lottery system is to level the playing field for our youth." A spokesman for D.C. Council education chair David Grosso said, "The councilmember is concerned about the report and making sure the same mistakes are not repeated in the future. He will be requesting a briefing from the Office of the Inspector General." Henderson earned a base salary of $284,000 in her final year as chancellor.